Looking for a bit of an adventure? I have teenage boys and they are all about Gator Boys, fishing shows, hunting, things that go to fast. Sometimes, finding and planning a family fun day that suits both their tastes and Mama's is pretty hard. 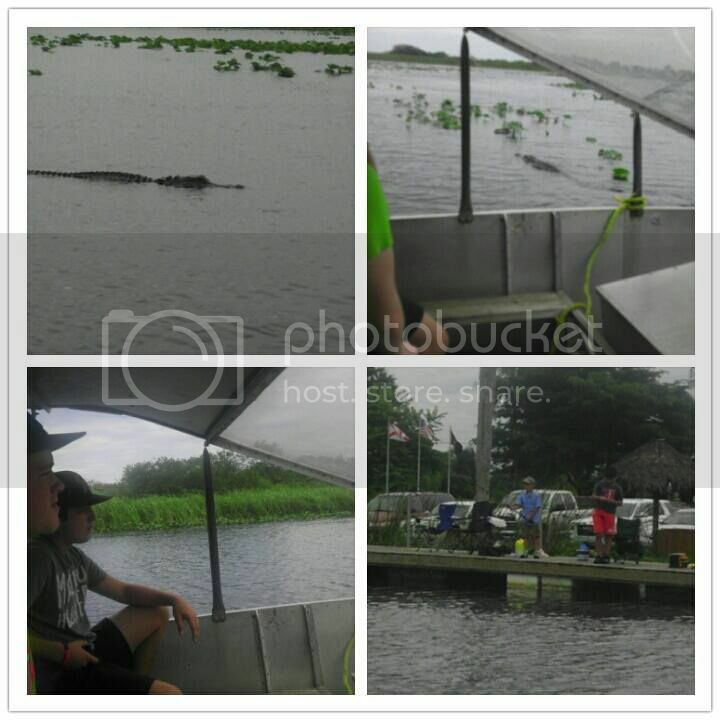 Everglades Holiday Park offers both an airboat ride and entertainment. The ride is safe and pretty comfortable which Mama likes, and the boat can scoot across the everglades and find some gators which the boys like. Today we are going to share 5 tips to make it a trip full of fun. 1. Pee before you get on the boat. The ride is an hour or so long, friends. Get ready to snap some photos of not only gators but all kinds of other wildlife you will find through the Everglades. The ride is nice and the boat is covered so you do not have to worry about the weather and hot sun too much. But keep in mind it is Florida and it is HOT. Ladies, if you have long hair you may want to tie it up or wear a cap. The wind may knot it up and whip it around. 2. Bring your fishing license if you have one. If not, they sell them. So don't worry. Check one off the boys bucket list by fishing the glades. Plan ahead and take advantage of the boat rentals and guided fishing tours. If you do not want to venture out on a fishing boat you can always fish right from the dock. Everglades Holiday Park has all kinds of fishing gear and bait available for you to purchase. 3. Have a fan of Gator Boys? Be sure and watch the show. It is only about 25 minutes. The show is completely family friendly. It is filled with corny jokes and gator facts. If you'd like you can pose for a photo opp afterwards with a baby gator. Of course his mouth is taped shut for safety. The younger kiddos really like to do this part. 4. Save money by checking out the coupon section online and the Miami Tourisim booklet. Also, look ahead because they do many discounts like AAA and military. Then you can spend it on something cool at the gift shop or dinner at the restaraunt. Everyone likes to eat at the end of a family fun day, or that's how it goes with my crew. 5. It is loud. If you have a child who does not care for loud noises or a baby whose ears may be bothered, think about passing on the boat ride, friends. And remember, it is also HOT so not necessarily ideal for smaller children. Everglades Holiday Park is a great way to pass a couple of hours with the family and learn something while you do it. Our biggest tip is to just take it easy and enjoy the day. It is definitely worth the drive for a little bit of adventure to your travels. Everglades Holiday Park has partnered with The Dan Marino Foundation to help promote autism awareness and raise funds for children and young adults living with autism and other developmental disabilities. Through May 31st, 2015 visit the park and add $1, $5 or $10 to your total purchase in support of the foundation.